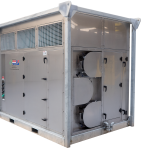 Custom Air Products & Services, Inc. is a full-service HVAC company that specializes in the design, construction, installation, modification, and servicing of industrial and commercial air conditioning equipment. We are committed to providing exceptional custom design and quality workmanship at competitive prices. On every project, we provide the resources, experience, and expertise necessary to ensure your complete satisfaction. We invite you to browse the website to learn more about our Houston commercial HVAC repair services, industrial equipment, and HVAC design services. More recently, CAPS has been focusing on better quality air for our students and loved ones spending time in hospitals. Special wall mounts and air handlers are custom created in order to provide the best indoor air quality for every school in the Houston school district and critical care units in hospitals. The next generation of custom-designed HVAC units is here. We are focused on providing the best quality of indoor air possible in schools and hospitals throughout the Houston area. Next up – the world. CAPS newest generation of air conditioning units is the “40 Ton Compact Series”. Featuring the industry’s smallest size for its capacity and capabilities. Built tough for extreme portable conditions, high static blower and controlled by a Variable Frequency Drive (VFD). The new 40 ton compact series provides multiple operating modes such as cooling, heating, dehumidification, 100% outside air or 100% return air. The unit’s industrial construction along with heavy duty skid / frame will provide CAPS customers with a state of the art machine that will last longer than the competitions. How can this 40 Ton Compact Series work for you? Give us a call today! 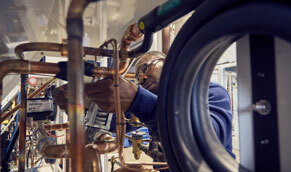 Custom Air Products and Services Is Your Business Solution for ALL your HVAC Needs! We are an official OEM Parts Department and have an inventory of over a million dollars’ worth of parts ready to ship. We ship around the world, using notable logistics, to assure you that your parts are delivered to your projects when you need them. Our team has years of experience to make sure you get the right part for your specific piece of equipment. Our Commitment to You is our Priority! 24/7 Parts & Service & Manufacturer’s Warranty Included On Each Part! 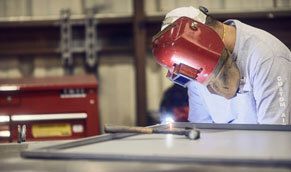 We specialize in the manufacturing of quality built, road-tested rental ready portable HVAC equipment. If you are looking for air handling units, packaged air conditioning and heating units, electric heaters, or any other skid mounted equipment ready to take the abuse resulting from transportation and setup and tear down, look no further. Concerned about how you are going to replace that air handling unit that is shoe horned into your mechanical room? After all, having to tear walls down for access and disrupting the occupant´s comfort is not something anyone looks forward to. 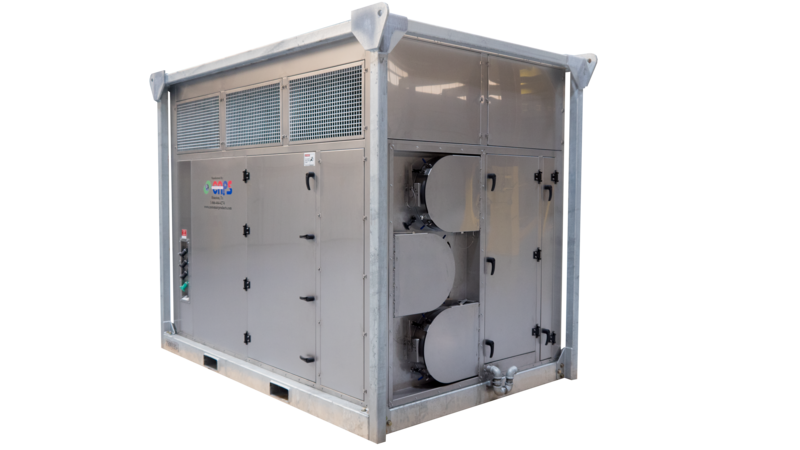 CAPS can manufacture an air handling unit using an innovative modular framing system that allows for equipment replacement with little or no disruption to the occupants. Custom Air Products & Services, Inc. offers many flexible maintenance plans, including preventive maintenance and full maintenance contracts, to ensure your equipment stays running efficiently and reliably. Our staff of certified service technicians are trained and equipped to diagnose and repair all makes, models, and sizes of equipment serving the HVAC industry. Custom Air Products & Services has the expertise, knowledge and resources to provide superior plumbing service and maintenance at your commercial or industrial facility 24/7.